Trullo M is a high-end renovated cassina a trulli with respect for the authenticity. With a 180 degree sea view, a plot of 5.000 sqm, an infinity pool of 3,3 m x 12 m and more than 300 sqm of terraces you can enjoy the Italian sun. The main house consists of 3 bedrooms (2 with ensuite bathroom), living room, kitchen and another bathroom. At the swimming pool there is another little building with a double bedroom and ensuite bathroom. 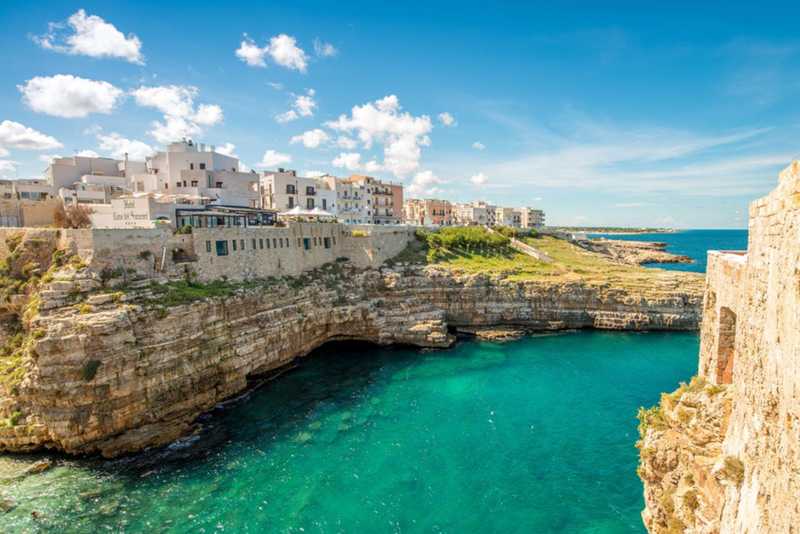 A land of sun and hospitality, it's located on a strip of land in southeastern Italy, in a strategic position in the heart of the Mediterranean. Centuries of history and a range of charming landscapes are just some of the reasons why it's such a unique destination, one where you'll enjoy some truly unforgettable experiences. The property is situated on a hill with a view towards the sea and the valley. As it is located approx. 350m above sea level, you can enjoy a lovely breeze during summertime. Strategically positioned at only 15 min drive from the beaches, San Domenico Golf and Savelletri Harbor, the atmosphere of the Valle D'Itria is fully present. At only 54 min drive from Bari Airport and 44 min from Brindisi Airport, the property can be reached easily when arriving by plane.. Minimum stay of 7 nights during July and August (arrival and departure on saturday) and minimum of 5 nights during all other periods (flexible dates). Rates mentioned are for the entire property and include weekly cleaning, linen and towels and welcome pack. Trullo M is a holiday home, therefore only the full property is for rent. Bookings per room are not possible. A security deposit of 500€ is required and will be reimbursed completely within 10 days after leaving the property (provided there is no major damage). The paid sums are not refundable in case of cancellation. A city at the coast that appeals to the imagination with its old harbour and city wall to protect the inhabitants from the sea and ancient invaders. A town by the sea, built on the rocks, with a beautiful historic center and a publicly accessible pebble beach. Amazing place for the sea lover. A village on the top of a hill with a view over the valle d'Itria. The streets of the old center are circular, hence the name loco-rotondo. Very cozy and charming. ... a simple dream of sharing a house under the sun. Mathias, passionate in real estate, wanted to find the perfect location with sea view. After searching neighbouring countries together with his wife Marijke, they both fell in love with Puglia and the cassina a trulli. We were happy to have hosted several guests already since August 2018. A grasp out of the reviews we received.